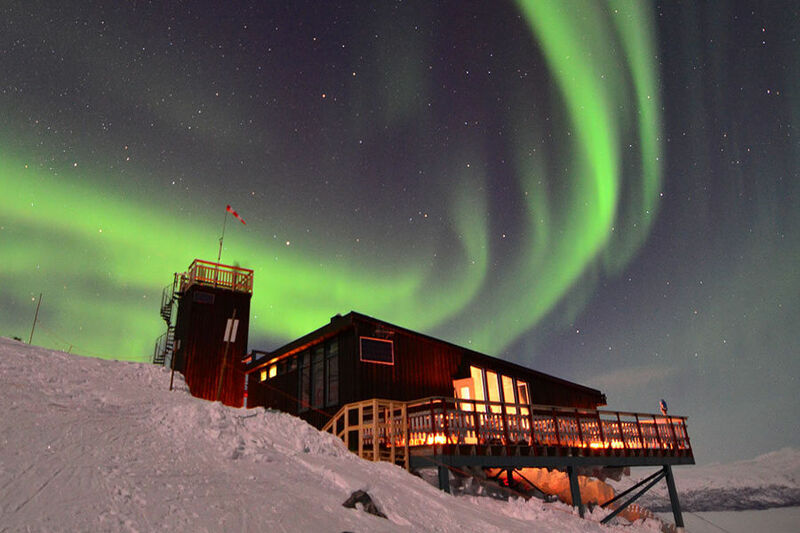 The thrill of witnessing the Aurora Borealis is a once-in-a-lifetime experience for many. Also known as Aurora Borealis, the Northern Lights are visible on around 150 nights a year across the Lapland. Catching the magical phenomenon requires clear and dark skies and a viewing spot not affected by light pollution, like street lights and neon signs. 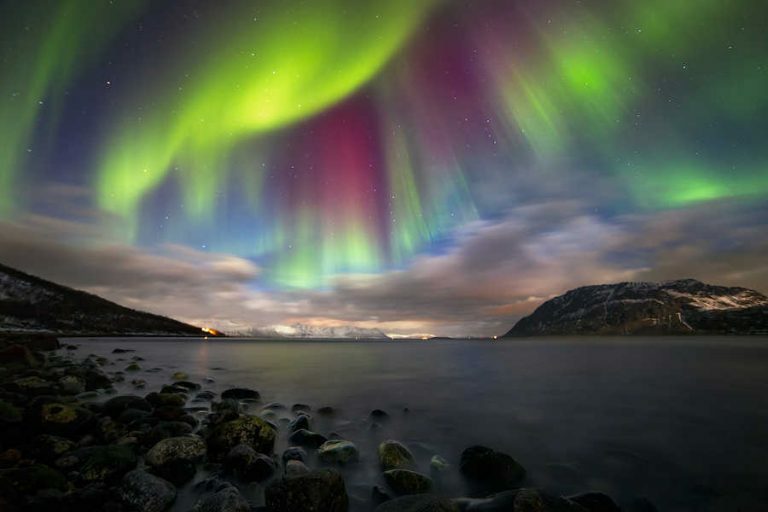 According to Sámi folklore, the Auroras are caused by a fox running over the fells of Lapland, whipping up snow with its tail and sending sparks up the northern sky. The sparks form a colourful arc of fire that lights up the dark landscape. The Finnish name for the Northern Lights, “revontulet”, meaning “fox fire”, derives from this myth. In scientific terms, the Northern Lights are caused by electrically charged particles from the sun colliding with each other upon entering the earth’s atmosphere, which results in emissions of various colours of light. Green is by far the most common, but red, pink, violet, yellow and even blue can be seen at times. 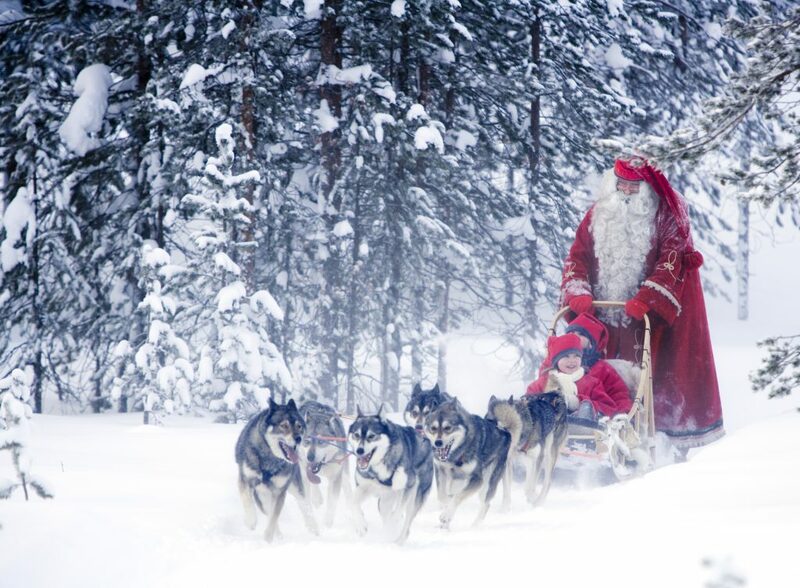 Rovaniemi is situated in Finnish Lapland, right on the Arctic Circle. Despite the northern location, getting here is easy – Rovaniemi is well connected to the rest of the world via various means of transport. 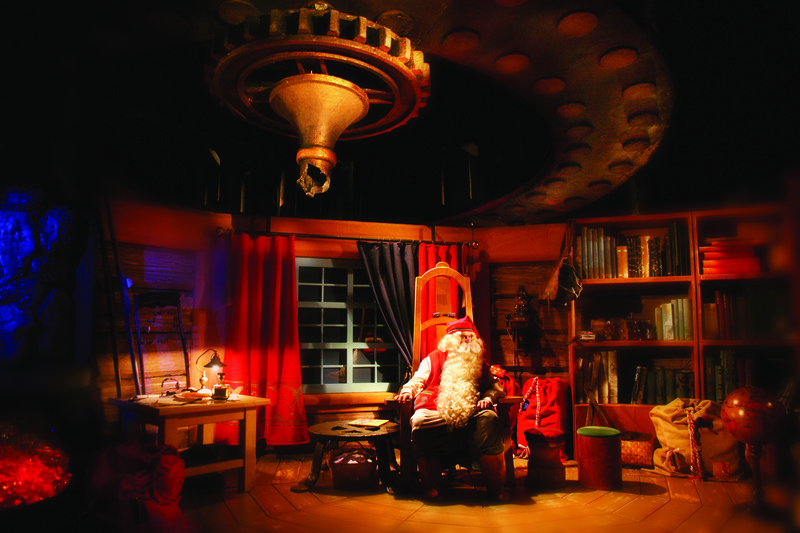 Christmas magic can be experienced year round in places like Santa Claus Village and SantaPark. 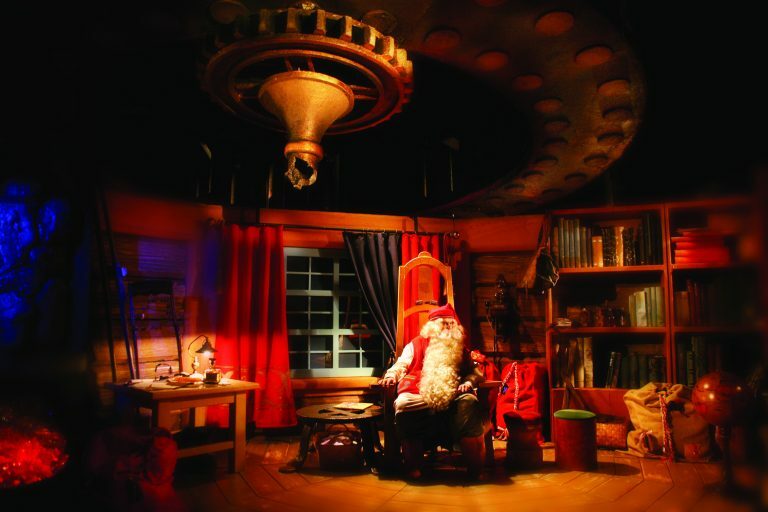 As the capital of Lapland, Rovaniemi is home to Lapland’s Provincial Museum Arktikum, the forest-themed Pilke Science Centre and the Korundi House of Culture. 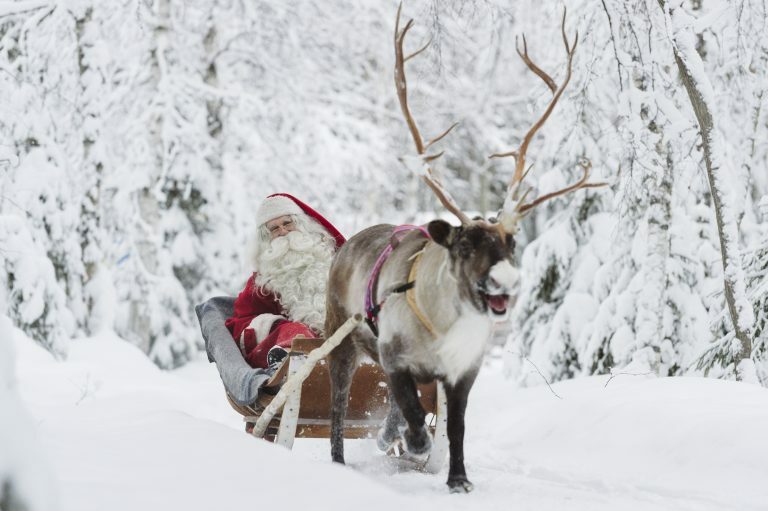 For animal lovers, the various reindeer and husky farms are a must along with Ranua Zoo that specialises in Arctic fauna; its ‘royal residents’ are the mighty polar bears and their cousins, the Finnish brown bears. Bordering on the Arctic, Rovaniemi is an exotic place of snow and ice in winter – you can even eat and sleep in buildings made of them. 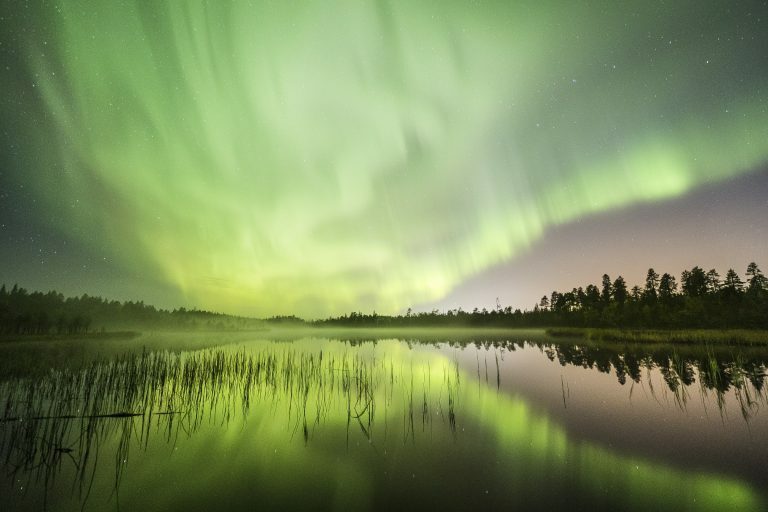 In Rovaniemi, you don’t have to walk far from the city centre to find a good spot, and really strong Auroras can be seen even with interference from artificial light. Saariselkä is a great Arctic resort town for winter activities. 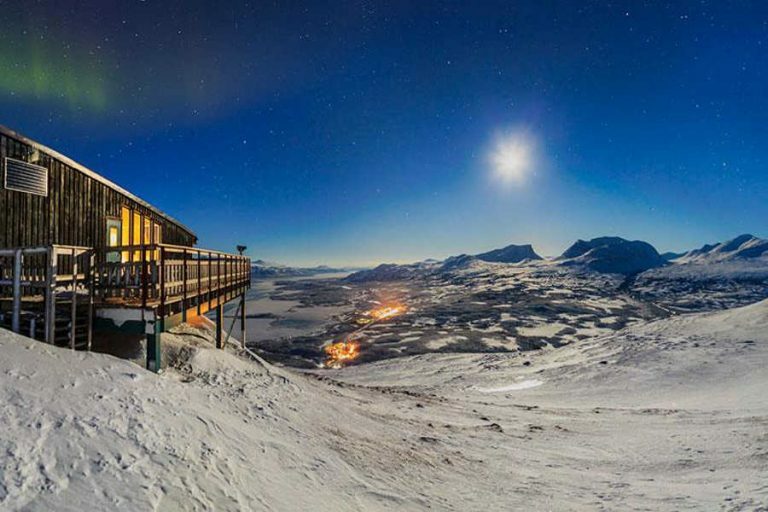 Finland’s northernmost ski resort is a short walk out of town, and the perfect place to wait for the Northern Lights away from the town’s light pollution. A short drive south is Kakslauttanen, home to the Kakslauttanen Arctic Resort’s Glass Igloos. 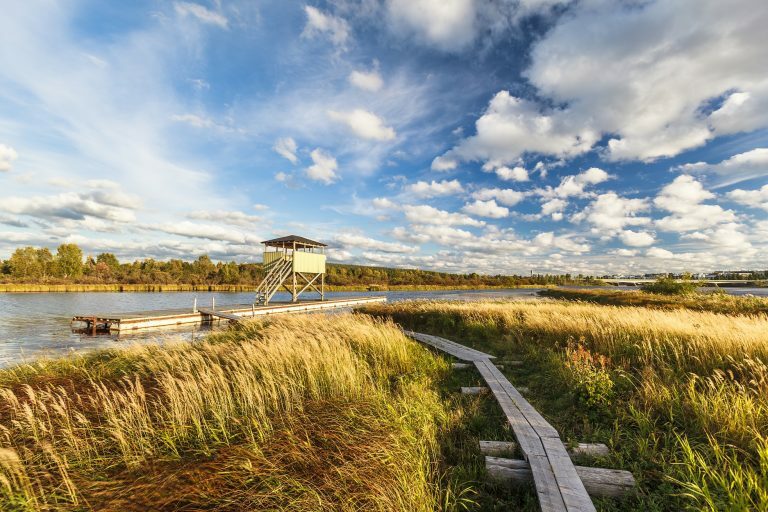 Ivalo is where to fly to visit the vast Lake Inari: the center of local Sámi culture. Here, in the far northeast corner of Finland, close to the Russian border, the Nellim Wilderness Hotel is an ideal base for nightly snowshoeing and husky and snowmobile safaris (while watching out for the Northern Lights, of course). A favorite photograph spot is Paatsjoki Bridge, in Nellim. 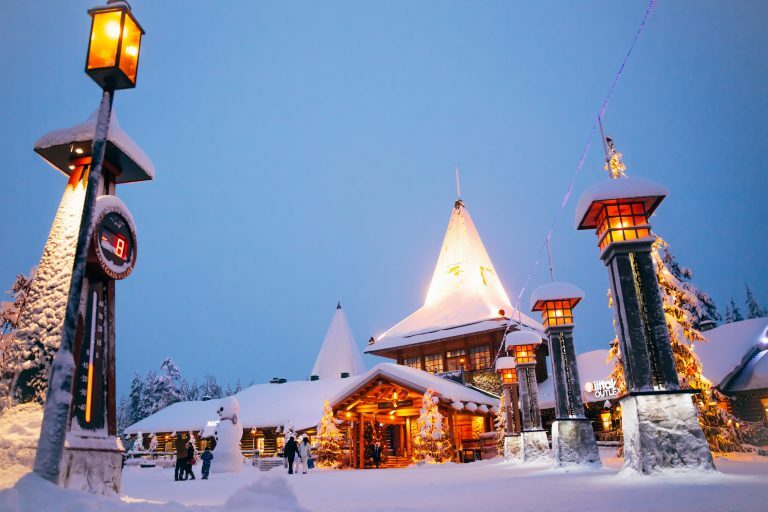 Situated near Levi, one of Finland’s largest ski resorts, Kittilä has some intriguing options nearby, such as the Harriniva Holiday Centre and Hotel Jarvis, both on the edge of the beautiful Pallas-Yllästunturi National Park. The presence of Levi makes flights to Kittilä frequent. Kilpisjärvi and its great fells are part of Finland’s national heritage. Even on the Lappish scale, this region offers something mystical that other areas can only dream about. Visit the only arctic village in Finland any season of the year. Kiruna has quite an extraordinary geographical location. 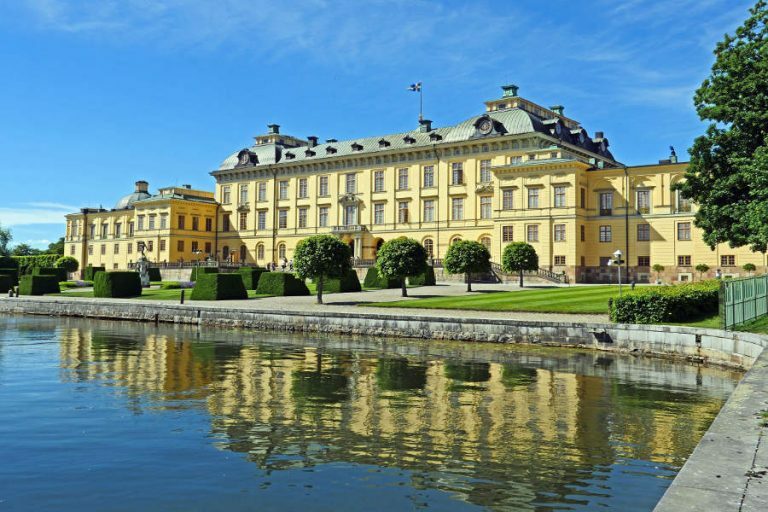 Here, 200 km north of the Arctic Circle, you will experience contrasts from Northern Lights to the midnight sun, the highest mountain in Sweden to the world’s largest underground iron-ore mine, ancient Sámi culture to an ongoing city transformation. Jukkasjärvi is a village 17 kilometers outside Kiruna. 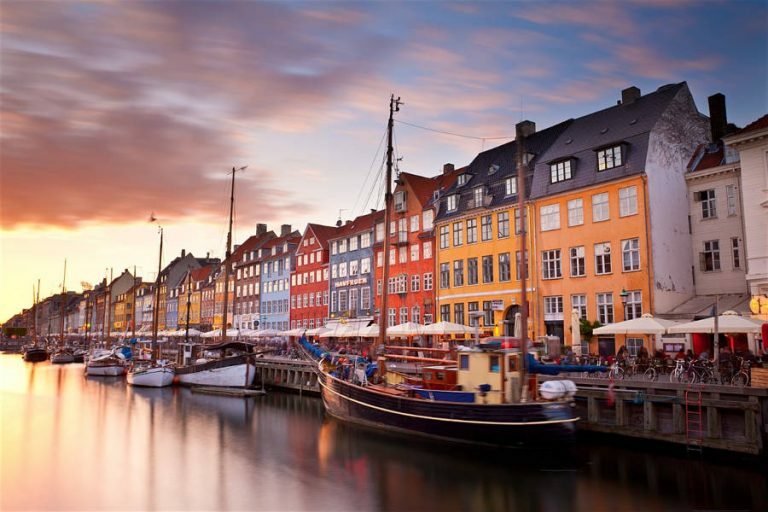 The name comes from a Sámi word that roughly translates to “meeting place by the water”. Here the Torne river is very wide and looks rather like a smaller lake, hence the Finnish word “järvi” which means lake. With origins from the 17th century, Jukkasjärvi is one of the oldest villages in Norrbotten. The location at Torne river, near the lake Sautusjärvi, was a strategic starting point for fishing as well as trade. The world’s first and largest hotel built of snow and ice was built for the first time in 1989 and has since been rebuilt every winter. The new ICEHOTEL 365 is a brand new ice experience that can be visited all year long. It is a permanent construction with an ice gallery, ice bar and art suites. The small town of Tromsø bills itself as Norway’s gateway to the Arctic, and there’s definitely more than a hint of polar atmosphere around town. Surrounded by chilly fjords and craggy peaks that remain snowcapped for much of the year, Tromsø sits on the eastern edge of Tromsøya, and is linked to the mainland by a gracefully arched bridge. Tromsø is the largest city in Northern Norway. With a location at nearly 70° north, and between fjords, mountain peaks, and islands, it is a prime starting point for your Arctic adventure. 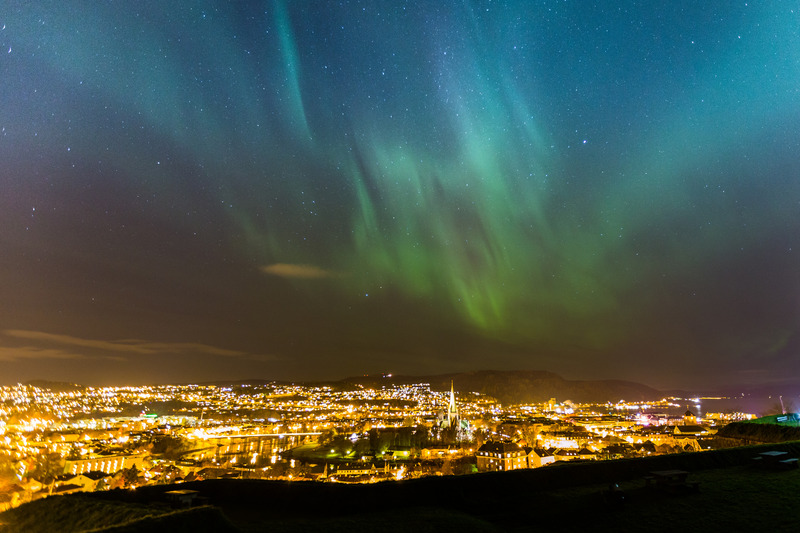 The city is situated in the middle of the auroral oval, the area with the highest probability of seeing the northern lights. 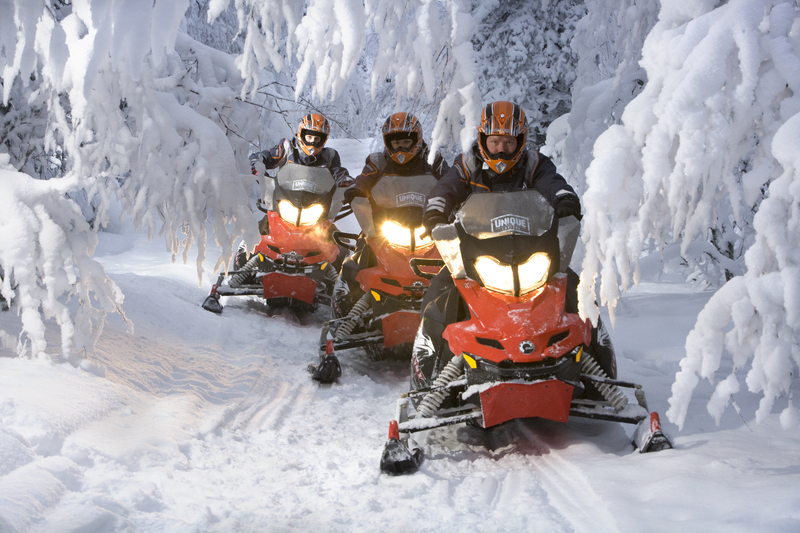 Combine your northern lights excursion with a wide range of exciting daytime activities such as dog sledding, whale watching, snowshoeing, and snowmobiling, or try for a selfie with the reindeer and sea eagles in the surrounding nature. The Svalbard islands halfway between Norway and the North Pole lies in the middle of the Arctic Ocean. 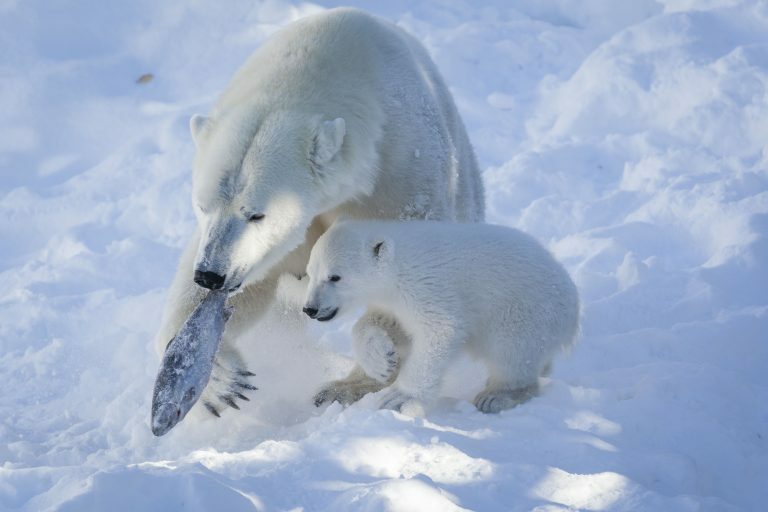 Here you can explore untouched Arctic wilderness and distinctive wildlife in a landscape that is both rugged and fragile. From early spring until autumn the midnight sun makes for an eternal day, but during the polar night from November to February, there is no daylight in Longyearbyen. 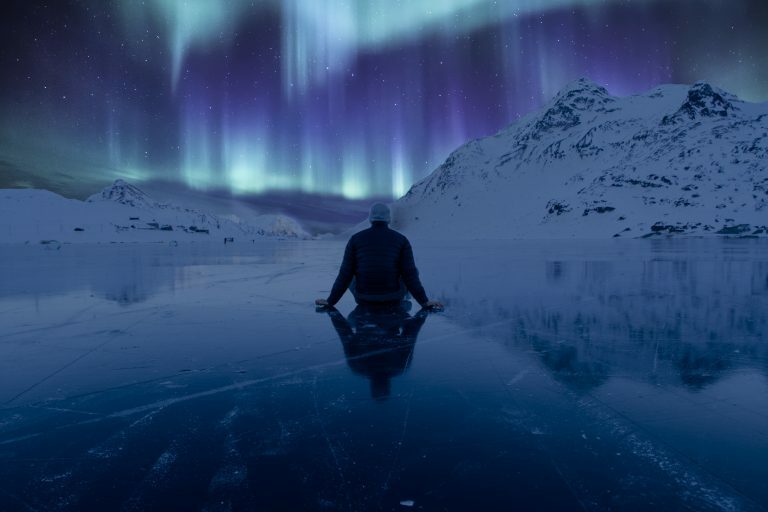 This attracts people from all over the world to experience the northern lights dancing across the sky.Located 900 kilometres north of the Norwegian mainland and 1,300 kilometres from the North Pole, Longyearbyen offers rare conditions for northern light activities. 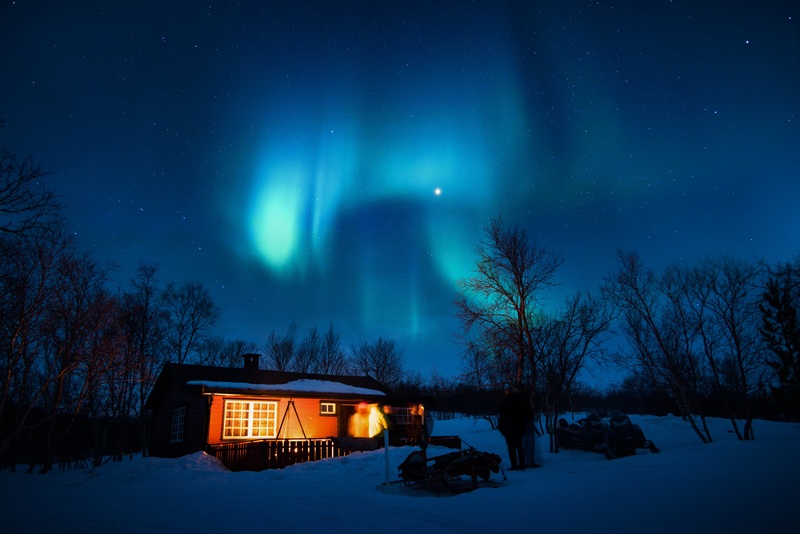 During the polar night, the aurora borealis may even appear at lunchtime. 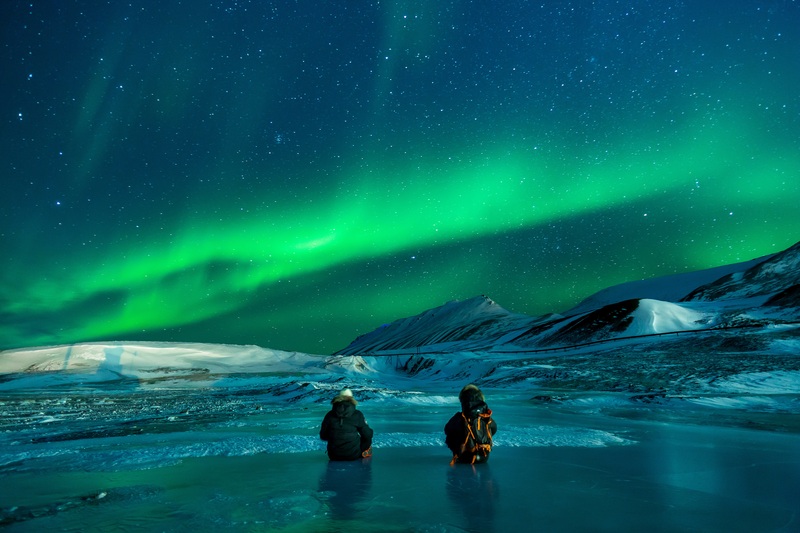 In October and February you can enjoy the blue Arctic light during the day and the northern lights at night. Spending time in Vesterålen feels less like a holiday and more like medicine for the modern traveller. Shoreline islets and open seas, alpine mountains and endless moors, gentle beaches and vast fjords all invite you to take a deep breath and relax. There are few other places in the world where you can ski down a snow-clad mountain one day and go on a whale safari the next. 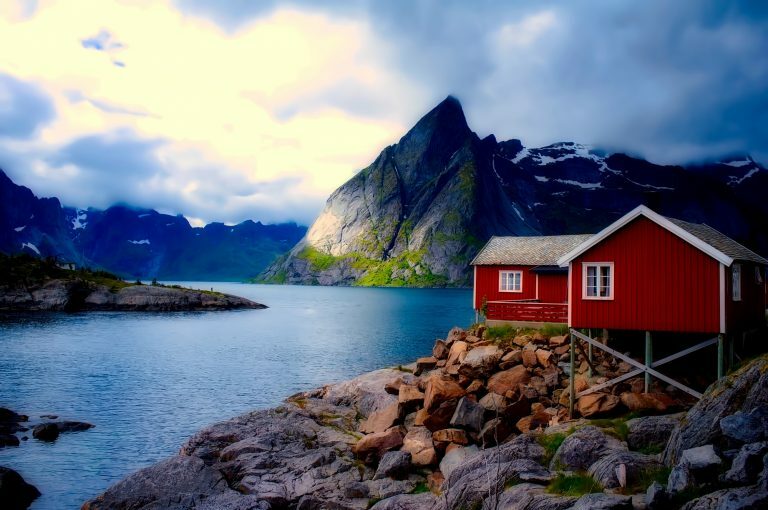 But as Vesterålen with it’s rugged peaks is located at the edge of the continental shelf, the nutrient-rich waters are the primary feeding ground for humpback whales, sperm whales, and killer whales. The northern light often illuminates Vesterålen’s polar nights. 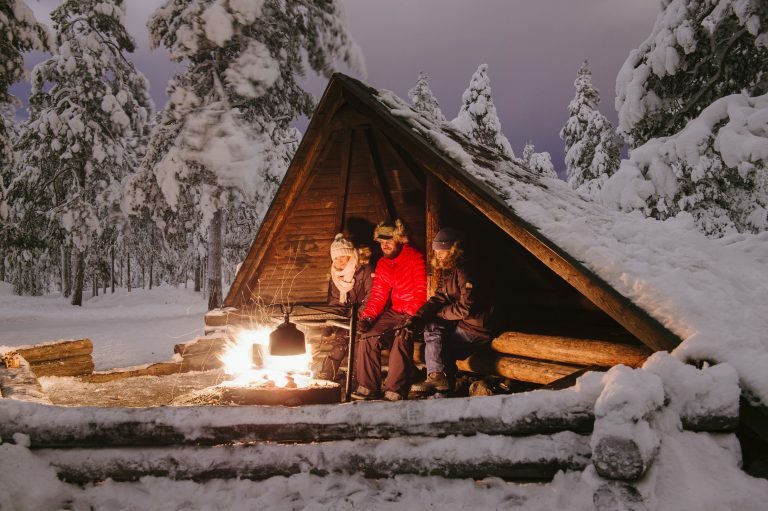 A visit to a native Sami family to hear their interpretation of their culture, the polar night, and the starry sky, is also a must when you are in the region. 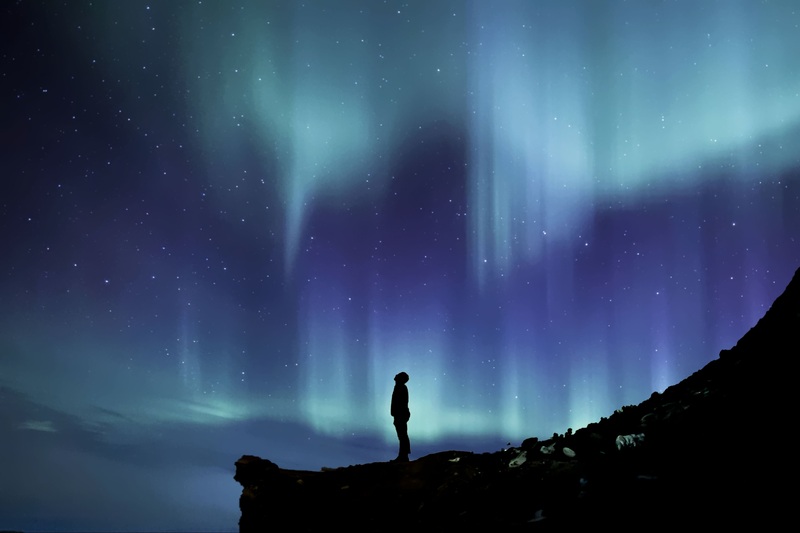 Get your northern lights experience in the Lyngenfjord region, an area blessed with dramatic landscapes and dry climates, the ideal viewing conditions for the aurora borealis. 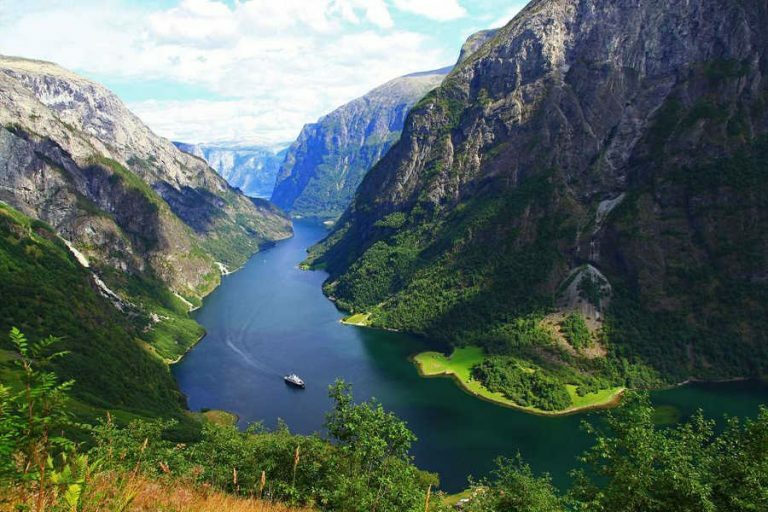 The backbone of the Lyngenfjord region is the beautiful 82 kilometre long Lyngenfjord, which is surrounded by blue glaciers, deep ravines, and the peaks of the Lyngsalpene mountain rage, some of which rise up to 1,833 metres. Scenic views and several options for adventure and relaxation make the region an important base for visitors and aurora spectators alike. Raw beauty, extreme seasons, and the Arctic light and aurora borealis dancing across the polar sky. Welcome to the winter wonderland on the northernmost point of mainland Europe. Standing on the North Cape – a large mountain plateau that ends in a 307 metre high cliff that plunges into the sea – is a breathtaking experience. Here you can marvel at the views of the Barents Sea and maybe even see the northern lights. Located at 71° north at the Magerøya island, the North Cape Plateau is the main attraction in the area and a popular destination for travellers. The journey there goes through wild and beautiful nature that gives you an exciting taste of the Arctic winter. You might even get a few hours of daylight and a streak of sunlight on the horizon. The best spot is by Grótta lighthouse, on the Seltjarnarnes Peninsula in the north-westernmost point of the capital. There is very little light-pollution along this stretch, meaning that, on clear nights with a good forecast, you have a great shot at spotting them. There is also a little geothermal tub, which you can warm your feet up in while waiting for them to show. Öskjuhlíð is another great place to aurora hunt from. 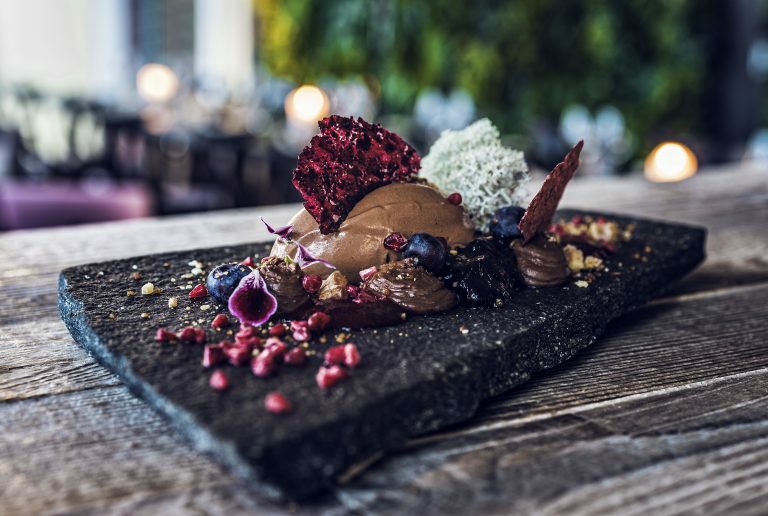 The forest, which surrounds the popular restaurant and landmark Perlan, is very dark, so observing from one of its clearings often achieves great results. In Old Norse mythology, during the time of the Vikings, the aurora represented a fire bridge to the sky built by the gods. Fire featured in later explanations. Back in the north, one Norwegian chronicler explained the phenomenon as either an ocean surrounded by vast fires or the release of energy that turns glaciers fluorescent. Yet another ancient Norse legend held that the lights flickered out from the armour of warlike virgins riding horses across the sky. A Glimpse of What Awaits You !! Register now and get exciting travel ideas delivered to your inbox once in a month.